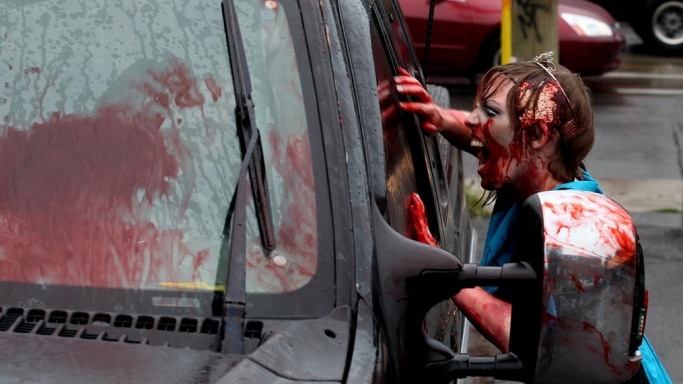 If you are trying to find the perfect vehicle to stay alive during the zombie apocalypse, these would be your 10 best options. In our opinion, break your grandma piggy bank, loan you house, sell your wife and buy one of these cars. 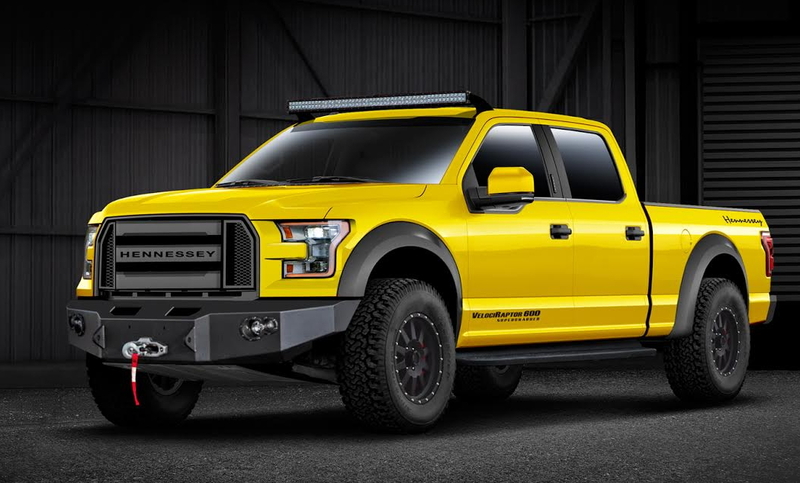 The 2015 Hennessey Ford F-150 Velociraptor is one of the greatest pick-up truck in the world. As you may have read, the F-150 is the best-selling car in its class. According to our sources Ford sells one of these cars every 35 seconds, but the Hennessey piece of metal can’t be found easily. Under the hood of the Velociraptor 600 is a 2.9 liter supercharger system that raises the V8 5.0 liter engine power to 600 horsepower. 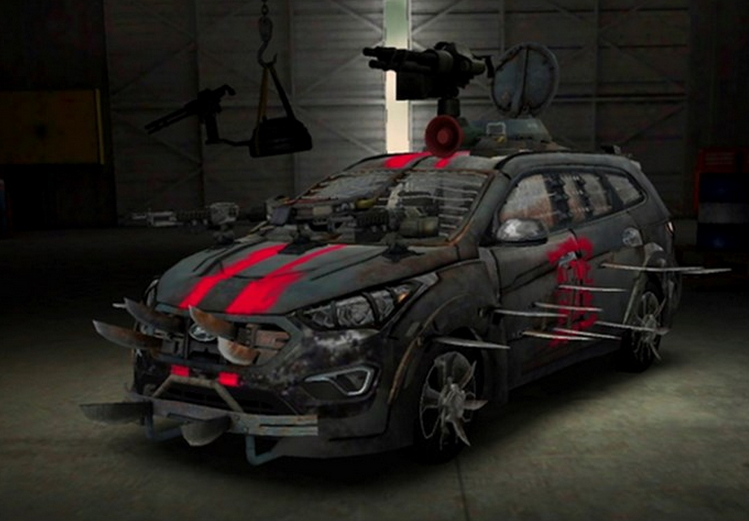 In addition, the car looks awesome and if the zombie apocalypse will not come you can pick up some real good chicks with this piece of car. 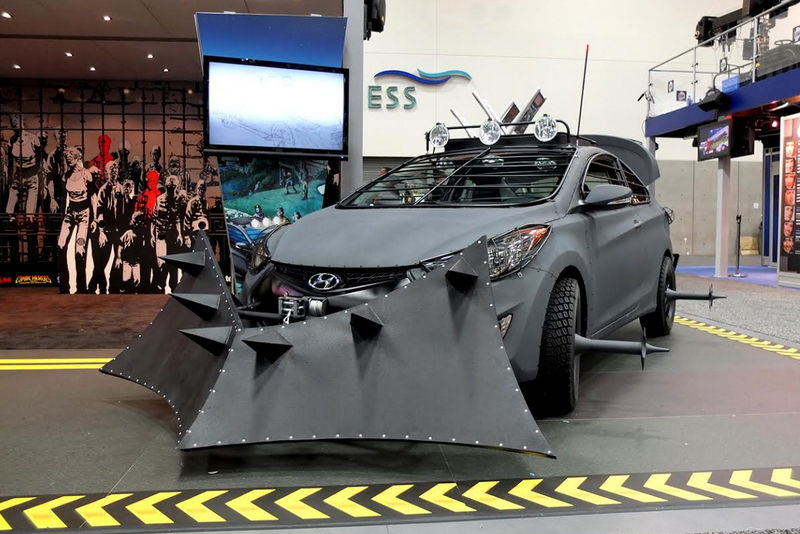 The Hyundai Santa Fe Zombie Survival Machine was officially unveiled at the 2013 Comic-Con. 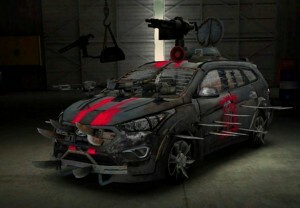 It was designed by Anso Kuo and it features a lot of technologies that will help you in a zombie battle. Here are all the important add-ons: knife blades, an automatic crossbow, razor-wired windows, three machine guns, a samurai sword, aluminum armor and a muffler silencer. The Ghe-o Motors Rescue is the baby of the Romanian marque Ghe-o Motors. 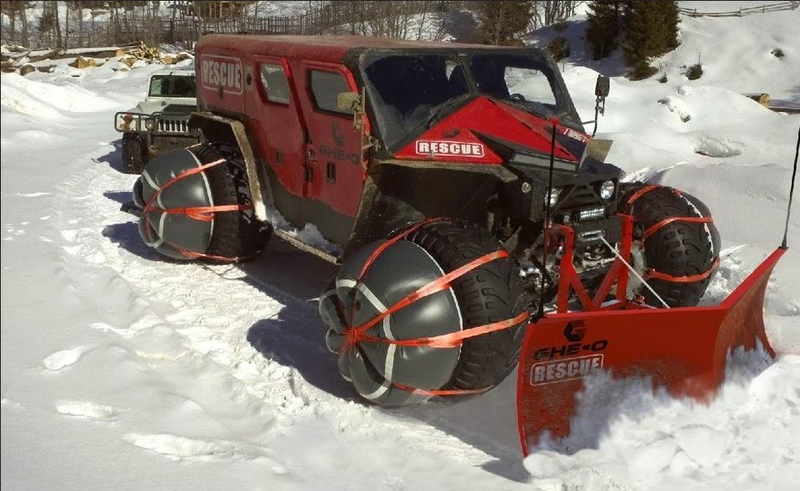 We are talking about an all-terrain vehicle that can be used in every rescue mission. But if you are trapped in woods with a lot of zombies, this might be your only way to the nearest town. It is 5.2 meters long, 2.7 meters wide and 2.39 meters tall. It weighs 3.2 tons and can be fitted with a 500 horsepower engine. 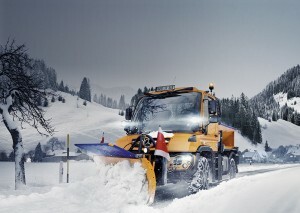 The Mercedes-Benz Unimog can be ordered in various versions. It now has only Euro 6 compliant engines and thanks to its six-speed automatic gearbox, every movement can be done more easily. 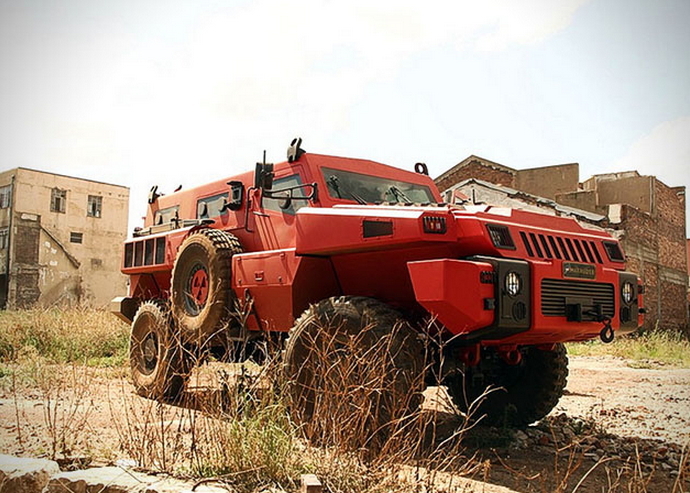 If you have enough money, this might be your surviving machine during the zombie apocalypse. The 2012 Hyundai Elantra Zombie Survival Machine was also unveiled during the Comic-Con event. It was inspired by the famous The Walking dead TV series and comes with a spike-laden cow-catcher plow-up front, with spiked tires, armored windows and lots of lighting stuff. In addition, buyers will get a roof hatch, a trunk full of electric and pneumatic weaponry to blast off the zombies head and all-terrain tires. Last, but not least is a CB radio system that will help you to communicate with other humans. 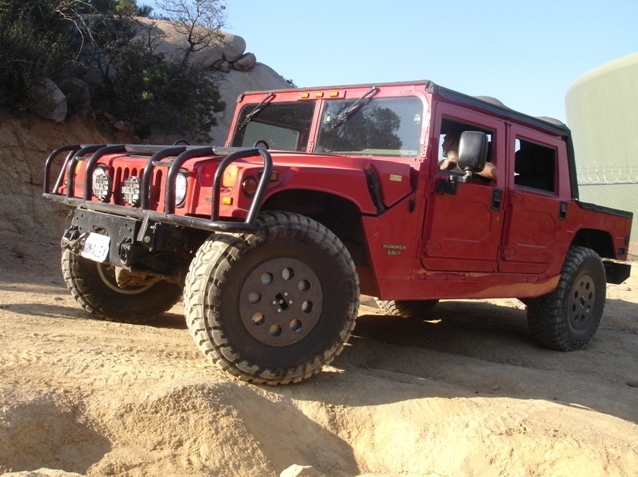 The Hummer H1 is the first off-road vehicle delivered by AM General which was based on the M998 Humvee. The car was produced between 1992 and 2006 in various forms and with lots of different engines. Originally designed strictly for military use, the car was also delivered as a civilian model. “Boasting 16 inches (40 cm) of ground clearance as well as super-aggressive approach and departure angles, the Humvee could clamber over a 22-inch (56 cm) high obstacle, handle a 60 percent grade and wade through up to 30 inches (76 cm) of water”, is said in the official statement. The most impressive engine was the 6.6 liter turbo DMAX V8 which was paired with a 5 speed gearbox. The Marauder made by Parmount Group is a military purposed vehicle. It is extremely flexible and agile battlefield tool with great mine and ballistic protection so you don’t need to be worried about zombies. They are so dumb and can’t carry a weapon (dooh, the axe is not a fire gun). If you have enough money you can buy the stretched version which offers extra space to carry your mother in-law (It was just a joke. You don’t have that amount of money). 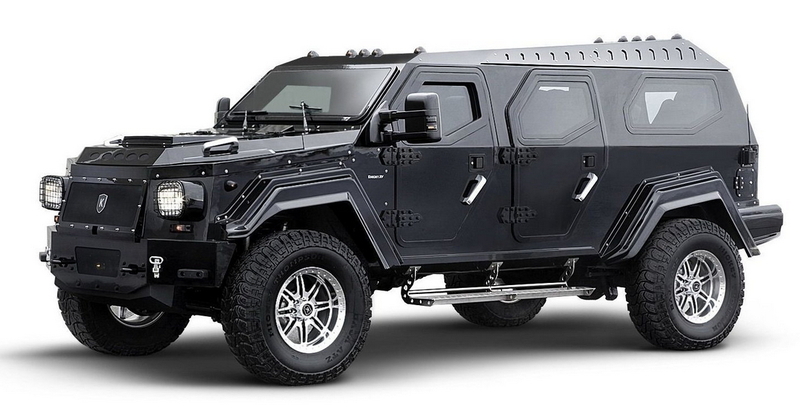 The Knight XV by Conquest Vehicle is an ultra-luxurious, hand-crafted armored SUV. Yes, ultra-luxurious, so if you name is not Dan Bilzerian you cannot afford this car. Go and buy a Prius. End of story. 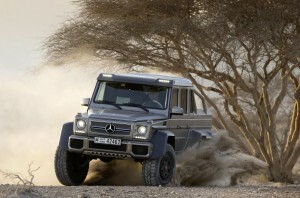 The Mercedes-Benz G63 AMG 6×6 was a big hit. With over 100 units sold (more than the Germans wanted to sell) the car managed to get a lot of attention. The starting price for this vehicle was 379.000 euros (without 19% VAT) and if features a unique V8 bi-turbo 5.5 liter petrol unit. It is able to deliver 544 horsepower and 758 Nm peak of torque. It has a total weight of 3.850 kilograms but thanks to the 7G-Tronic transmission, the car was able to run like hell. If you have doubts about its off-road capacity, you should know that the huge ground clearance (not even Mercedes-Benz knows the real figure: joke) and the massive 37 inch tires can tackle any terrain on the planet. If you have missed the Mercedes-Benz G63 AMG 6×6 you can knock the Kahn Design’s door. Here you can find the six-wheeled Land Rover Defender Flying Huntsman. For now it is just a concept that was officially revealed at the 2015 Geneva Motor Show but if the zombies are going to strike I’m pretty sure that Mister Kahn will develop a production version. 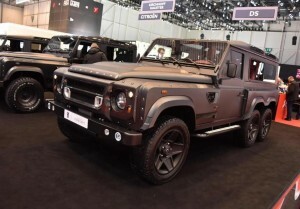 According to the British tuning company, the Land Rover Defender Flying Huntsman uses a 6.2 liter V8 LS engine signed by General Motors that can deliver 430 horsepower. The engine resources are sent to the ground via a six speed automatic transmission. In addition, the British concept uses a hi-lo ratio drive system with locking differentials so you will be able to tackle ALMOST any terrain on the planet.